Hotels-New-Zealand is a group of independently owned and non-related hotels, motels and serviced apartments providing accommodation located across Canterbury New Zealand. Hotels New Zealand allows you to deal directly with the hotels giving you the best possible rates for these Canterbury hotels. Book your ski accommodation online directly with the hotels in Canterbury and save. 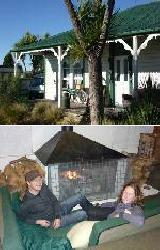 The Pinedale Backpacker Lodge Apartment is the only 4 star backpackers hostel in Methven. If you are looking for quality budget Methven accommodation with style, then the award winning Pinedale Backpacker Hostel Lodge & Apartments are the place to stay. The Pinedale Backpacker Lodge Apartments in Canterbury is close to everything that Canterbury has to offer, as well as having a numerous guests facilities and services including direct internet access, free car parking, guest laundry, sauna, tour desk, bbq, garden, airport shuttle and daily housekeeping. Pinedale Backpacker Hostel Lodge & Apartments are the only backpacker hostel offering transport for all guests in the Pinedale van to Mt Hutt, the club fields in Arthur's Pass or Christchurch transfers. For quality budget Methven accommodation close to Mt Hutt ski and snow, then the award winning Pinedale Backpacker Hostel Lodge & Apartments are the place to stay. The Mingary Farmstay and Bed & Breakfast is ideally located in the Canterbury township of Oxford. This delightful Canterbury accommodation offers a friendly, inviting farmstay and Bed & Breakfast experience located in the foothills of the Southern Alps. Just off the Inland Scenic Route, recreational activities are not hard to find. These activities include climbing up Mt Oxford, exploring native bush, visiting Oxford and Ashley Gorge, skiing on nearby Mt Hutt and much more. 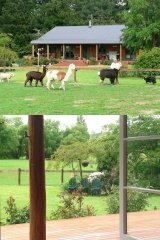 For farmstay accommodation at Mount Hutt with something different to the standard bed and breakfast or hostekl lodge then stay at Pagey's Farmstay. The homestead of this Canterbury accommodation has a large new kitchen, new bathrooms and newly redecorated bedrooms. A range of activities are within minutes of the farm including skiing, jet boating, horse riding, ballooning, bush walking, lawn bowling or golfing on a magnificent 18-hole golf course.